We are very sorry to hear about the continual loss of homes from the eruption -- this time caused by lava-related brushfires. Four houses were destroyed Saturday by a brush fire along Kilauea volcano’s lower East Rift Zone. The houses were in the Halekamahina Road area off Highway 132 near Kapoho, according to Janet Snyder, spokeswoman for Mayor Harry Kim. 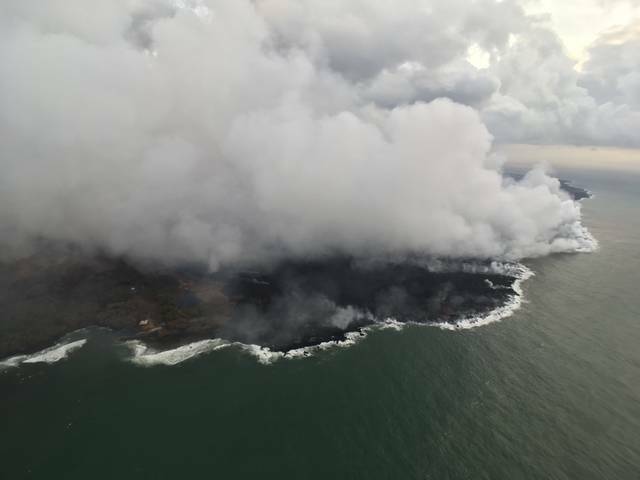 Hawaii County residents with losses as a result of the Kilauea eruptions and earthquakes have through Monday, Aug. 13, to register for disaster assistance with FEMA, which can be done at the DRC, weekdays 8 a.m.-6 p.m. and Saturdays, 8 a.m.-4 p.m. Registration can also be done online at DisasterAssistance.gov or by phone at 800-621-3362 or (TTY) 800-462-7585. Applicants who use 711 or Video Relay service may call 800-621-3362. The toll-free numbers are open 7 a.m.-10 p.m. seven days a week.